Marc Alan Fishman: Danger – Driving While Plotting! A bird-themed superhero team battles the threat of Galactor and his minions, an international terrorist organization with advanced technology. Narrator: Battle of the Planets! G-Force, five incredible young people with superpowers! And watching over them from Centre Neptune, 7-Zark-7! Watching, warning against surprise attacks by alien galaxies from beyond space. G-Force! Fearless young orphans, protecting Earth's entire galaxy. Always five, acting as one. Dedicated! Inseparable! Invincible! 'Battle of the Planets: The Movie', a 68 minute feature editing together several episodes onto one storyline: 'Attack of the Space Terrapin', 'Big Robot Gold Grab', 'Ghost Ship of Planet Mir' and the 'Invasion of Space Centre' episodes'. The G-Fore team's adventures here are all earthbound, and include scenes of violence and loss of life originally edited from the TV series. 7 Zark 7 is played by David Bret Egen instead of Alan Young. 'Mini Feature', a 40 minute short combining the 'Invasion of Space Centre' episodes. 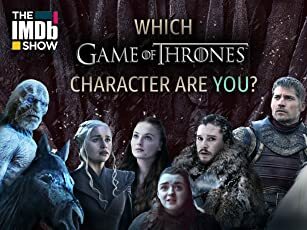 This feature includes violence and loss of life originally cut out of the TV series. It also includes an alternative character introduction separate from the TV series, and a new club version of the theme music. The episode 'Rescue of the Astronauts', with an additional character introduction, introduction sequence and the club version of the theme music. The Original Japanese "Super Team!!" To all of those who were not even born during its debut in the United States(1978): This cartoon first went on the air in Japan in 1974 under the title "Gatchaman." It was the first cartoon to depict a super powered team. As a matter of fact, it inspired many super team action shows animated or live in Japan. 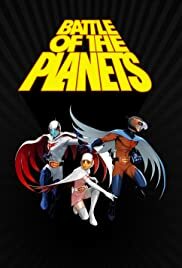 "battle of the planets is the imported version for the American audience in 1978. Although not as violent as the Japanese version, the musical score is fabulous, the continuing storyline is decent, and the voice over acting is good. The animation additions of seven zark seven and one rover one are the only weak points in the scripts.